This financial year’s State and Federal Budget announcements heralded a number of major steps forward for transport infrastructure projects around the nation. The Western Australian Government, for instance, rolled out its biggest ever investment into rail in its 2018-19 Budget, allocating $3.6 billion to METRONET projects. However, there was also great emphasis on improving the safety of the roads already built – especially in rural areas. The 2018/19 Victorian Budget allocated a record $941 million towards fixing Victoria’s regional road network and establishing VicRoads’ new dedicated country roads division – Regional Roads Victoria. 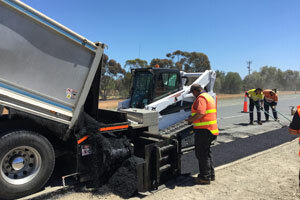 The Victorian Budget also set aside $100 million to establish a Fixing Country Roads fund to provide grants to rural and regional councils to fix their local roads. The New South Wales Government even put $40 million towards sealing country roads – a move Deputy Premier and Minister for Regional NSW John Barilaro said will ensure all of the region’s major highways are completely sealed and weatherproof by 2023. The Western Australian Government also identified the urgency to address road trauma within its borders, with a bumper $181.5 million slice of its 2018/19 Budget pie going to the Road Trauma Trust account. Under the Trust, $70 million alone has been set aside for improvements to prevent run-off crashes. 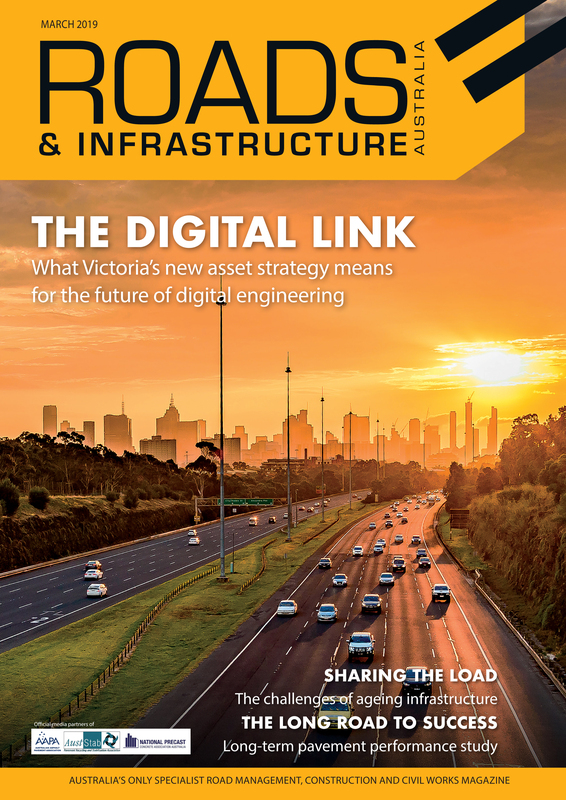 For Stabilcorp, designers and manufacturers of road repair and widening skid steer attachment ShoulderMaster, the significant investment towards initiatives aimed at reducing trauma on regional roads is a welcome one, but one that has been a long time coming. “I think it’s taken a while but governments and decision makers are realising now that we don’t necessarily have to build new roads and can do a lot with making these roads safer via various countermeasures,” Geoff Jackson, Stabilcorp Business Development Manager, explains. 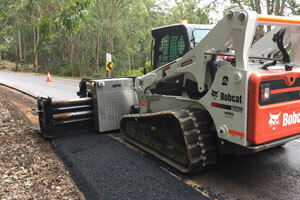 The ShoulderMaster attachments, designed and built by the New South Wales-based company, is a road repair and widening skid steer attachment that safely and effectively fixes dangerous narrow roads and crumbling road shoulders, particularly on rural road networks. Mr. Jackson says the road safety investments across Australia shows there is a national consensus that real impact can be made on the nation’s road casualty toll by relatively inexpensive safety countermeasures, including, but not restricted to, the ShoulderMaster. Mr. Jackson says the funding allows councils and contractors the ability to invest in countermeasures such as audible road lines, barriers and other safety products for existing regional road networks. In addition to the significant investments in rural road safety, Mr. Jackson says ongoing research by Australian Road Research Board (ARRB), Curtin-Monash Accident Research Centre (C-MARC) and Australian Road Assessment Program (AusRAP), as well as state government road authorities like Roads and Maritime Services, VicRoads and the Queensland Department of Transport and Main Roads, supports the data for reducing road crashes and serious injuries. “We’ve been drumming the safety drum since we first launched the ShoulderMaster. Now, we’ve seen that the awareness about things like widening shoulders using inexpensive innovations rather than building new roads, has increased,” Mr. Jackson says. Through these myriad research projects looking at reducing road trauma on Australia’s roads, Mr. Jackson says the amount of information available on what influences these accidents and incidents has increased. As a result of the increased emphasis on fixing and maintain rural road networks and the more comprehensive research about the impact upgrades such as those on road shoulders can have on road trauma, Mr. Jackson says the ShoulderMaster has gained more of a foothold in the national market. He says many contractors are taking advantage of the money being invested in this area by extending their service capacity to include road shoulder widening, and investing in built-for-purpose products such as the ShoulderMaster. Likewise, Mr. Jackson says contractors can also make that a point of difference by extending their service offering to include these now well-supported safety countermeasures, such as shoulder widening, otherwise the bids for work come down to competitive pricing. “From that point of view, you can offer a premium – it’s not about charging people more but increasing value for the client,” he says. Mr. Jackson explains this is exactly what Stabilcorp – a contracting company – did when it designed and developed the ShoulderMaster as a means of filling a gap in the market. As investment in rural roads increases, Mr. Jackson says Stabilcorp is seeing more traction with the uptake of ShoulderMaster in the market, especially off the back of significant investments in its manufacturing site in Wauchope. With an experienced Production Manager now onboard to lead company’s manufacturing process, he says the next step for ShoulderMaster is to increase output to meet rising demand for the innovative product. “2018 has been a good year for us so far – we’re starting to see enquiries and sales increase and, importantly, we’re hearing lots of people talking about it,” he says.